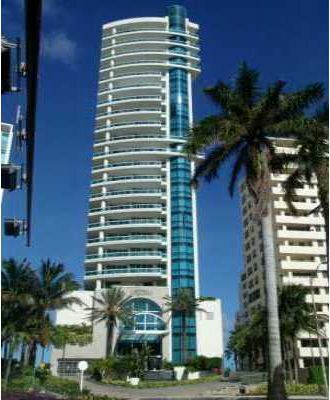 The 24 story Capobella is found in Miami Beach's “Millionaire's Row” neighborhood to the east of Collins Avenue with a location right next to the Atlantic Ocean and the sunny sands of the barrier island. It's right within the barrier island's Art Deco district and features 84 Miami Beach condos for sale with the option of either one bedroom or two. After you've admired Capobella condo's domed architecture, step inside and discover its many amenities which include water fountains, a sundeck with a heated pool, an entertainment and club room, a spa overlooking the ocean, health club, concierge and more. The units have features like views of Miami Beach and the Atlantic Ocean, sliding glass doors, glass railed balconies and oversized walk-in closets. Lincoln Road is less than ten minutes to the south of Capobella and has a number of shops and restaurants plus a hugely colorful array of people enjoying the Miami Beach experience. Ocean Drive is just a couple of additional blocks to the southeast. 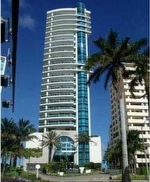 There are parks and additional beachfront to the north of Capobella as well as the village of Bal Harbour.